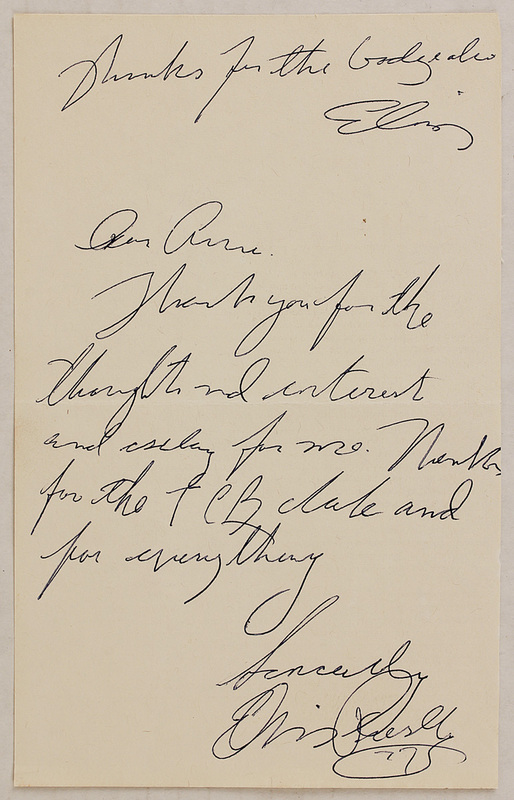 From the Eddie Hammer Elvis Presley Collection, an Elvis Presley handwritten and twice signed thank you note. Handwritten and signed in blue ballpoint ink on 5 x 8 ecru stationary. 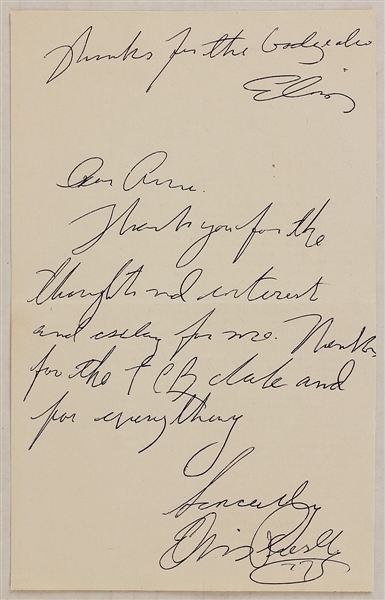 This autograph was part of Eddie Hammer’s collection and is being sold as is. Very good condition. Comes with a Gotta Have Rock & Roll™ Certificate of Authenticity.